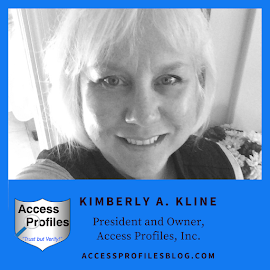 Access Profiles, Inc.: If You are not Doing Background Checks on Your New Hires, You are Making the Biggest Mistake Your Small Business can Make! 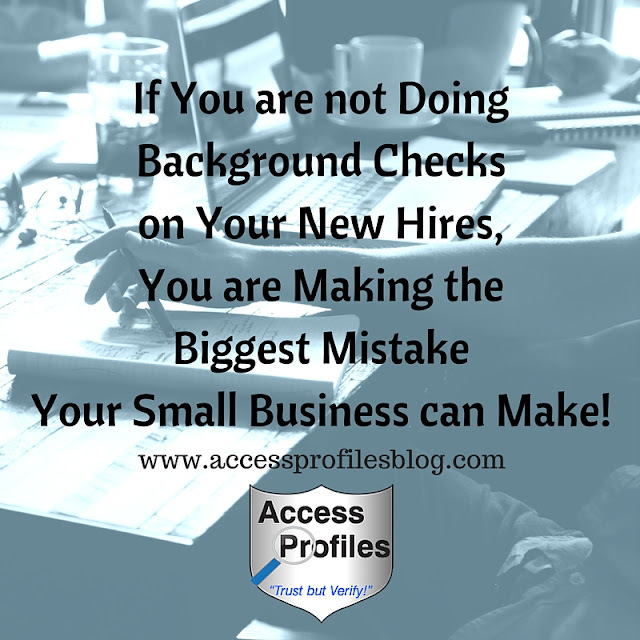 If You are not Doing Background Checks on Your New Hires, You are Making the Biggest Mistake Your Small Business can Make! Running Your Own Business is your dream. You pour all your energy into building it ~ coming up with the perfect product or service, choosing your location. Whatever it is, you are all in. But it can also make you feel stressed and overwhelmed. You find yourself being pulled in all different directions. This is when many business owners think about hiring someone in to help. It may just be someone to answer the phones and take orders, or it may be a bookkeeper to keep track of your finances. You may even only be thinking about hiring someone part time. the biggest mistake they can make. They Skip the Background Check! Instead of approaching hiring with caution, they think that simply because they are a small business, screening their applicants before hiring them isn’t necessary. Maybe they are hiring people they know ~ relatives, friends, or friends of family and friends. Maybe they think they can’t spare any additional money checking into their applicants’ pasts. Or they might think that they should take anyone just to lessen their own work load. Still there are others who believe they have a good “sixth sense” when it comes to people. They think they will “just know” if someone will be a good fit. And, after all, their resume just looks so impressive. As is true of any person you have just met, first impressions can be deceiving. As a small business owner it is important that you hire carefully, not in haste. 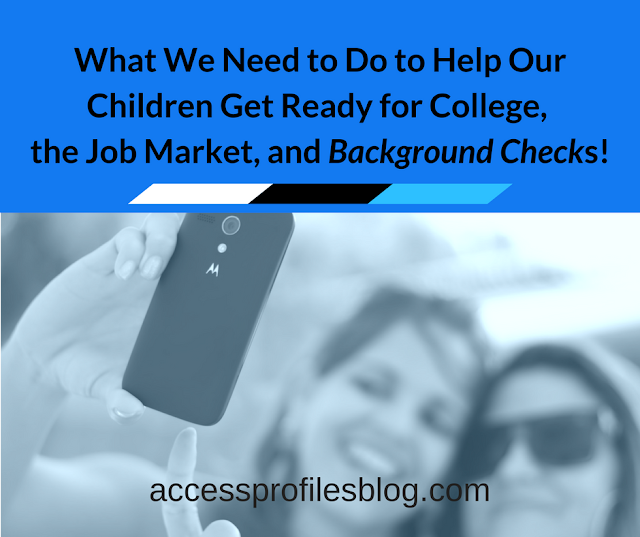 Not all small business owners recognize the importance of screening their employees from the start. Many believe it is not necessary. Or that it is too time consuming and expensive. They also might not understand the consequences of making a bad hire. When you hire, you need to remember that who you hire is a reflection of your business. They are often the first “face” of your company that your clients and customers see. Your clients often deal with your employees on a much more intimate basis than they do with you. That is why making a hiring mistake can actually harm your carefully cultivated brand. It can even put your small business, your other employees, and your clients in jeopardy. You may end up hiring someone who steals from you or your customers. They may even be violent with or bully those around them. This could put your company at risk. And as a small business, you are unlikely to be able to weather the impact. This is where an employment background check comes in. by visiting my original article on LinkedIn! Please Share this with other Small Business Owners You Know! Thanks! Contact us here, We can help! We will guide you in creating sound hiring policies and help you decide what you really need, while keeping in mind your bottom line! 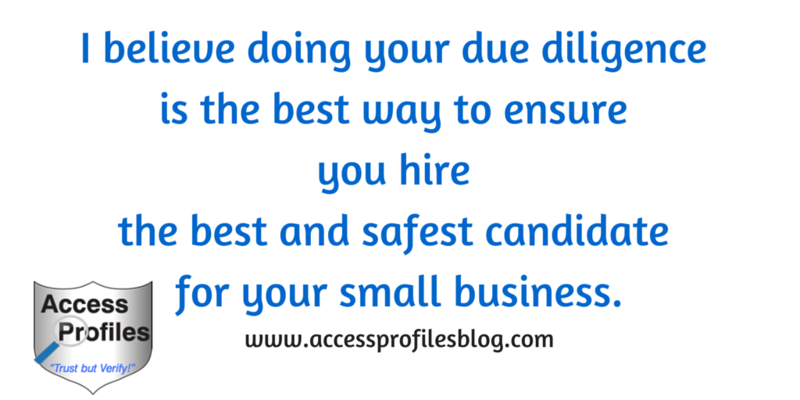 We offer Small Business Mentoring and Security Consulting too!